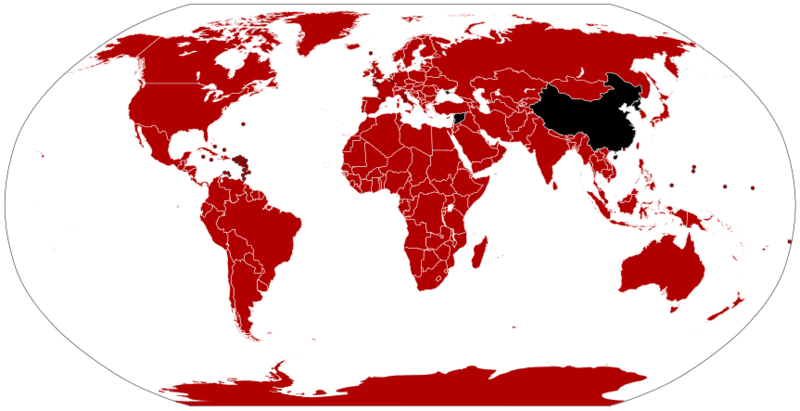 Netflix is the world’s most popular premium streaming video site, but it’s not available in China. China is one of the world’s most popular markets for VPN providers. Put the two together and you end up with a lot of VPN users–travellers and expats–in China who want to watch Netflix. Expats in China must choose their VPN carefully if they want to be able to watch Netflix from the Middle Kingdom. The goal is twofold. You’ll need a VPN that can circumvent both the Great Firewall and Netflix’s VPN ban. China’s Great Firewall is the nickname for the country’s advanced internet censorship system, which blocks streaming media sites like Netflix among many others. Netflix does its best to block overseas VPN users from accessing the US catalog of shows due to geographic content licensing restrictions. Before we make a recommendation, know that no single VPN is a perfect tool against either of these adversaries. Both the Great Firewall and Netflix continue to block the IP addresses of VPN servers by the day. Two types of VPN providers can bypass both: those that are so small that they are considered insignificant, and those big enough to have the resources to continually adapt. The former are small upstart VPN and smart DNS companies. Their customer base is small enough they don’t grab the attention of the censors in China or Netflix, effectively flying under the radar. If these VPNs continue to grow, however, it’s only a matter of time before someone takes notice and stamps them out. These VPNs often can’t react as quickly or at all to such a setback, leaving their customers in the dark. That’s why we recommend the second type: a larger VPN company with a wealth of experience in the game of whack-a-mole that blocking VPNs has become. These VPNs have more engineers and customer support staff to quickly make the necessary changes so customers can get back to streaming Stranger Things. With this in mind, we highly recommend ExpressVPN as a reliable VPN provider for Netflix viewers in China. It has a wealth of servers in the United States and offers a 30 day money back guarantee. Once signed up all you need to do is contact the live support on the company’s website to ask which servers currently function with Netflix. The servers are reliably fast, so you shouldn’t have any problem buffering good quality video. BEST VPN FOR US NETFLIX IN CHINA:ExpressVPN is our top choice. Unblocks US Neflix and most other popular streaming services. Also reliably avoids China’s Great Firewall and unblocks Google, Facebook, Whatsapp, Instagram & Skype and more. Extremely fast connections and a huge range of countries available. Top performer for privacy and security. Try it risk-free with the 30-day money back guarantee. Navigate to Netflix in your browser and watch as if you lived in the US! Note that for other streaming channels, such as BBC iPlayer, you may need to clear your cookies and refresh the page for the geo-block warning to go away. If you want to watch US Netflix from China on a game console, smart TV streaming media box (Roku, Fire TV, Chromecast, etc), then you’ll need to set up the VPN on a router instead of using the app. You can use a virtual router on your computer or the physical wifi router in your home or office. a smart DNS proxy is an alternative to a VPN. They work in a similar manner by re-routing traffic through a server in the US, but smart DNS proxies do not encrypt traffic. This makes them faster, but less secure, than VPNs. Most devices also have built-in DNS settings, so you can easily set up smart DNS on your Roku, Chromecast, Apple TV, or Fire TV without fiddling with your router. The downside is that smart DNS services are easier for both Netflix and the Great Firewall to block. Netflix has weeded out the best and biggest providers. Changing DNS servers is also a pain compared to switching servers on a VPN. Smaller smart DNS proxy services don’t have much in the way of server selection at all and could leave you without much help in the customer service department.